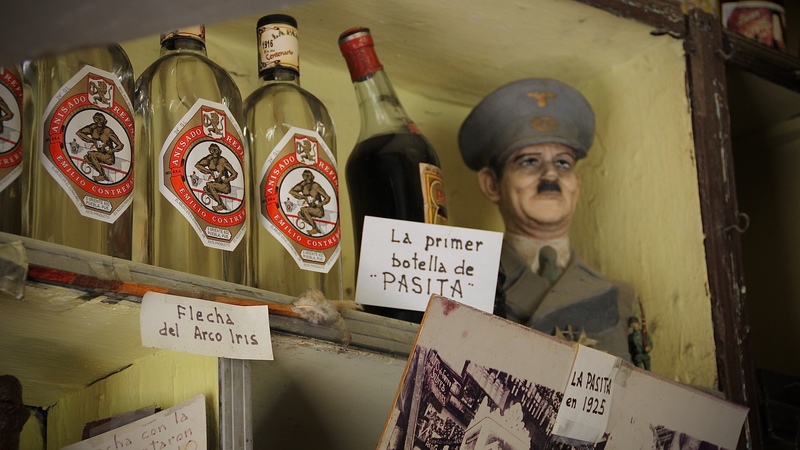 Made in the charming town of Puebla, Mexico there is a magical, little-known liqueur called Pasita. It can be found in only two places in Puebla, both of with are owned and operated by the same family. 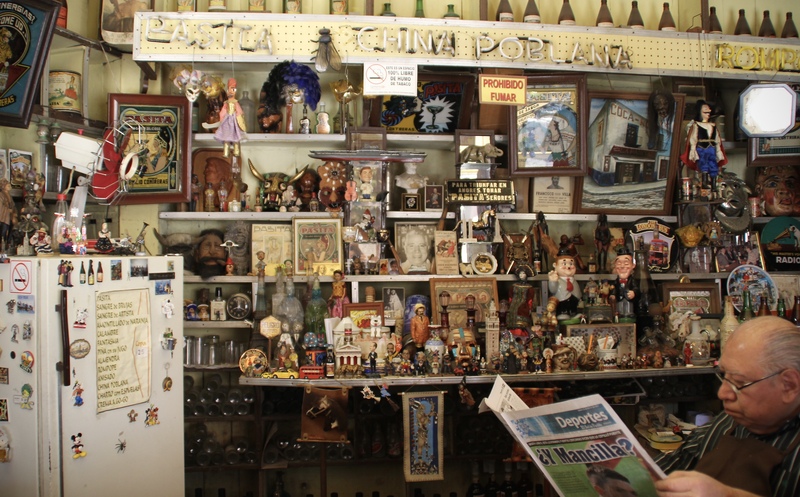 The first of the two cantinas is the oldest watering hole in Puebla. 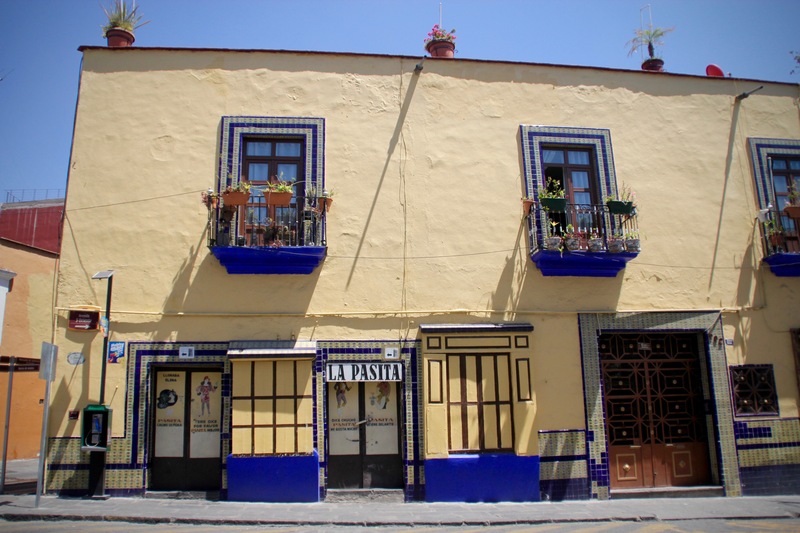 The original location can be found on a corner not too far from the town’s Zocalo in an unassuming, yellow building lined with blue detail, housing two pairs of small, wooden doors adorned with painted vintage signs. These doors only swing open for an abbreviated, short service lasting a few hours during the middle of the day and only most days of the week. Closed more hours than open, getting the timing right proved tricky. It took multiple tries before we got it right. Take three. We finally made it inside. The place is tiny. A single room with no seating, just a thick, wood counter that separates the bartenders from the patrons. Shelves lining the walls, floor to ceiling are covered with dust coated trinkets. The place is like a time capsule complete with the alleged first ever bottle that has sunk to one side over time. The owner proudly points this out, citing the disfigurement as proof of its authenticity. 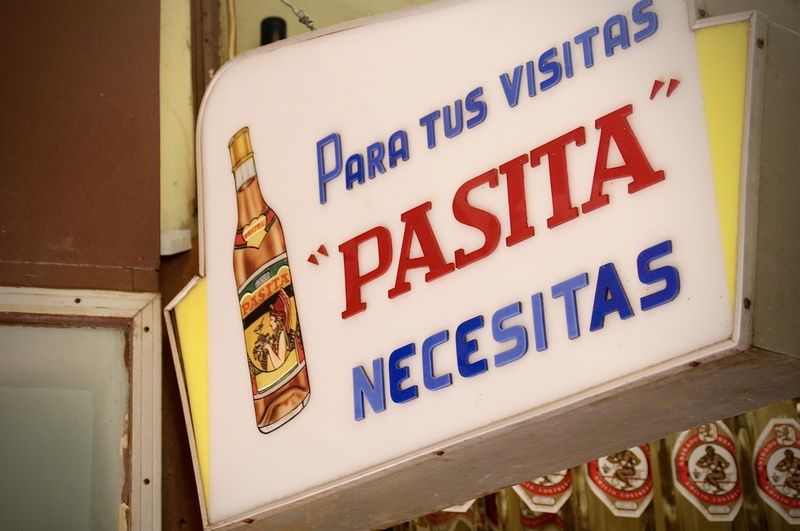 La Pasita first opened in 1916 as a small grocery called El Gallo de Oro which made and sold the alcohol on location. 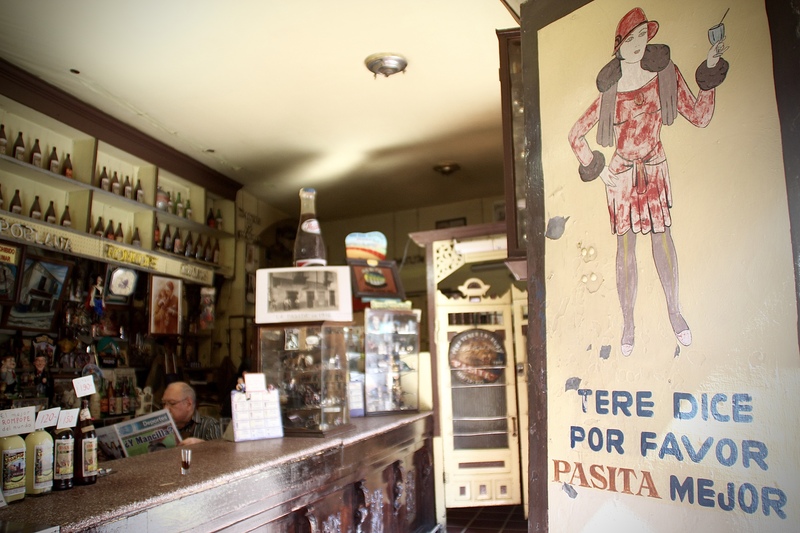 In 1960, Mr. Emilio Contreras Aicardo turned it into the bar and liquor store it stands as today. To this day the traditional production method is still used. In its heyday, the bar was known a popular place for everyone from important politicians to university students. Aicardo’s son plans to continue the tradition and pass it on to future generations. 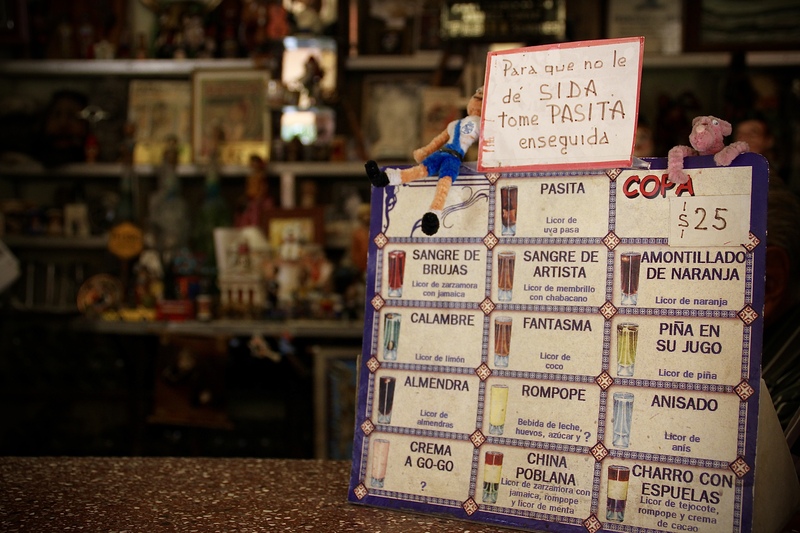 Rumor has it that La Pasita became famous because it served drinks according to the number of blocks that the customer could stand after consuming them. There is also a long-standing offer that “Whoever can drink 100 glasses of pasita will earn a thousand pesos and the drinks are free.” I’d be more concerned about instant diabetes from the sugary beverage before I could drink enough to get drunk, but it’s said that one man has managed this outrageous challenge and another nearly died trying. 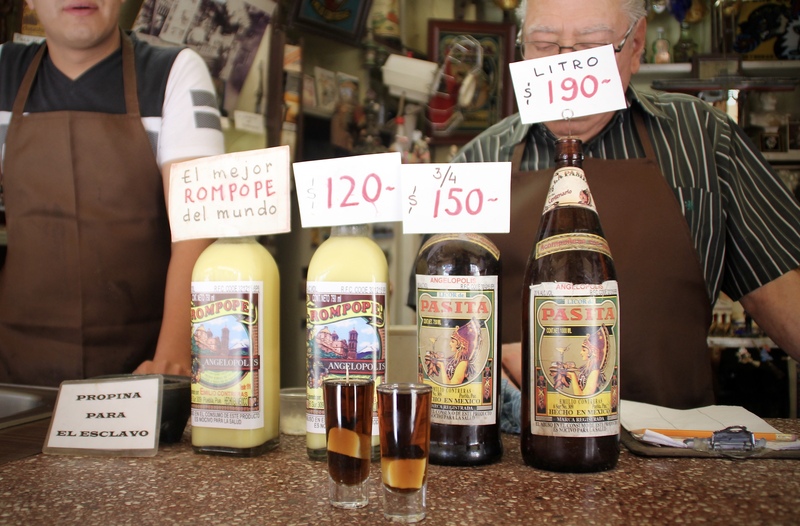 A man nicknamed, EL Peterete successfully drank a hundred glasses of pasita and received the grand prize of one thousand pesos. Years later a 27-year-old Spanish man tried to match the feat of Peterete, but only managed to drink 93 glasses, fell silent and was forced to receive immediate medical care. It just doesn’t sound worth it to me. So what exactly is this liquid gold worthy of this longevity, effort, and attention? 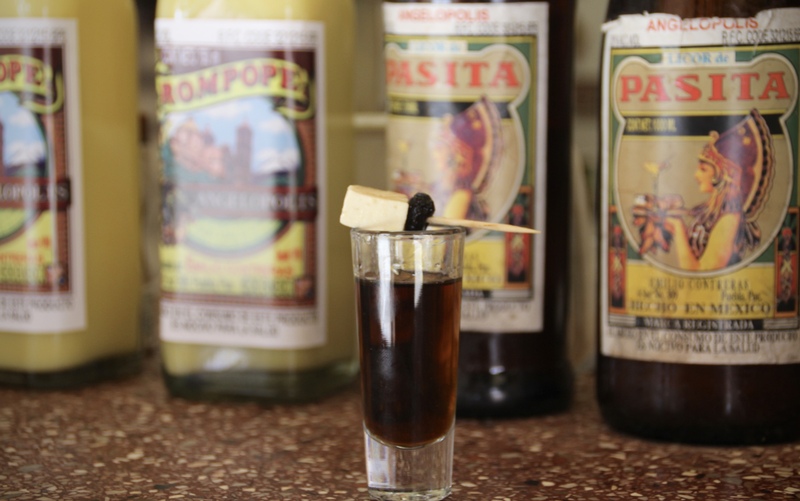 It’s a sweet, viscous liqueur made from raisins. Though this drink is densely sweet, small sips reveal subtle notes of cinnamon and caramel. A long and pleasant finish lingers on the palate. It’s liquid desert. It is served in a tall shot glass with a perfect little square of a mild but salty, palate-cleansing cheese and single soaked raisin. There are also about 20 flavored variations of the traditional drink worthy of a try, the anise being one of my favorite. It’s rare to find such a great gem of local history that hasn’t been made into a gimmick, tourist trap, replicated or turned into mass production. La Pasita takes you back to simpler times. It’s truly a special place serving a lovely drink and made for a perfect afternoon pit stop along a stroll through pretty, little Puebla. Salud.